You can search our online catalogue and add your selection to a wishlist to email or print out to order. 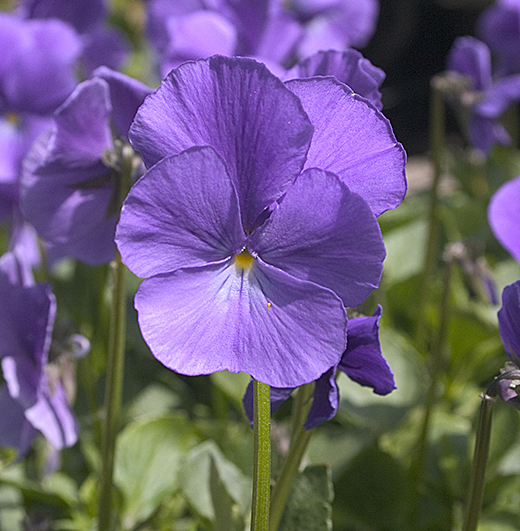 A very old cultivar with deep violet-blue flowers and a yellow eye. 3cm. across. Very neat perennial habit. Deep lavender-mauve flowers 4cm. across with yellow eye. A very vigorous & long lived plant. Very useful where a simple pure colour is required. Very similar to 'Maggie Mott' & probably a seedling. 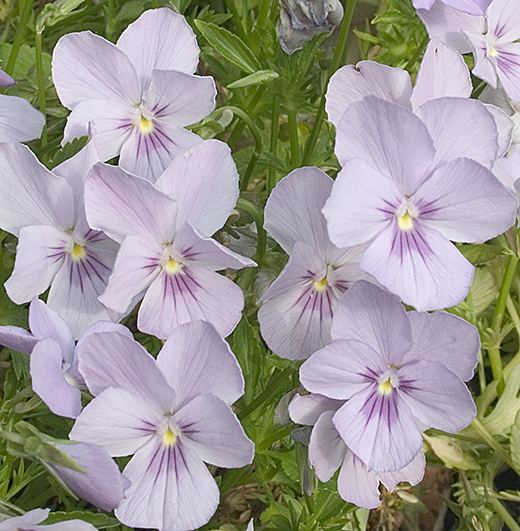 The upper petals pale silvery-blue, lower petals cream edged with pale blue. Flowers profusely & is very scented. Lovely pure white flowers, 3cm. across, with yellow eye. Possessing an exceptionally strong perfume. Seems happy growing in quite deep shade as long as it has enough moisture. 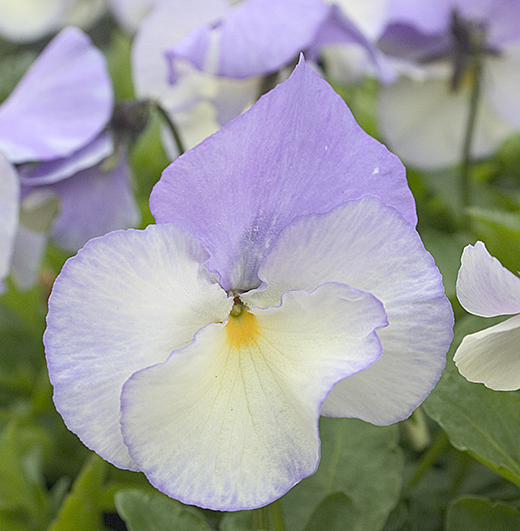 A very pretty Viola, the scented flowers attractively marbled pale lavender and white. 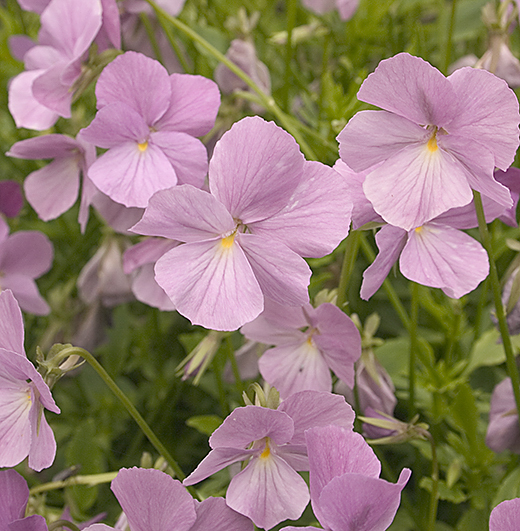 (EM) Lovely new Viola producing a profusion of flowers in an unusual bright dusky pink enhanced by maroon rays. Makes a good clump. 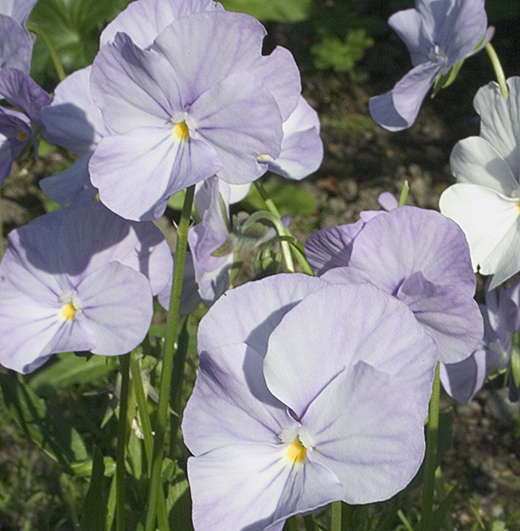 A mound of tiny pale blue, yellow-eyed flowers all summer. 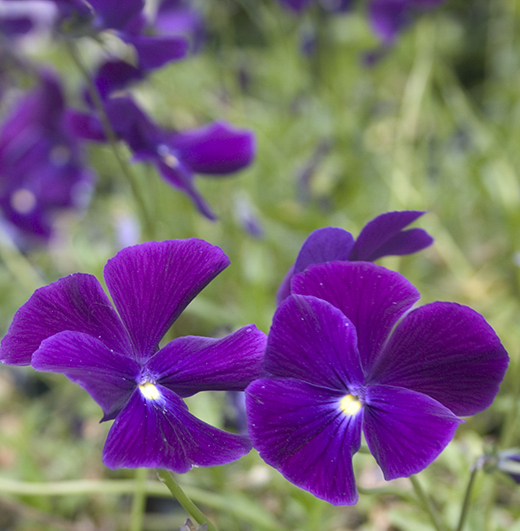 Very profuse flowering with a strong perennial habit. 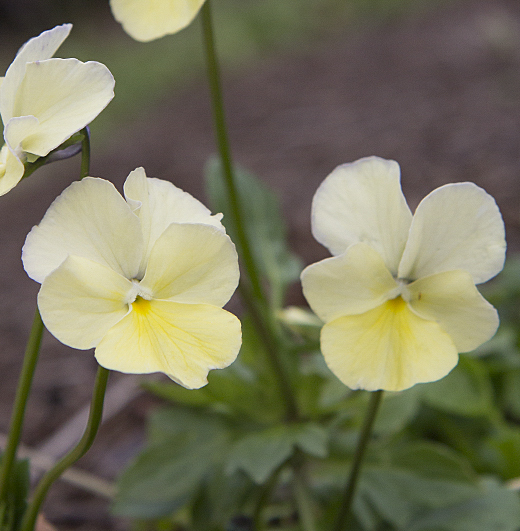 (EM) A seedling from V.'Ivory Queen' very scented, with palest creamy-yellow flowers, just a shade darker than Ivory Queen and with the same strongly perennial habit. (EM) Masses of soft lilac-pink flowers, enhanced by a maroon central blotch. Pale pink flower, 3cm. across with a yellow eye. Originated at Sissinghurst Castle.